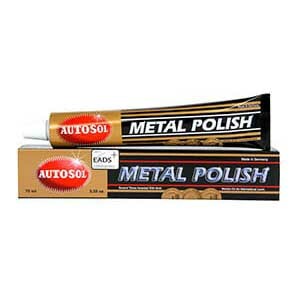 Autosol metal polish is for use on all metals, aluminium, copper,galvanised, brass, nickel, stainless etc… It cleans, polishes and protects. It gives a brilliant shine and lasting weather protection. If using on Pressed Tin Panels® products we recommend a clear sealant be coated on the polished product to protect further and remove the need avoid more polishing.